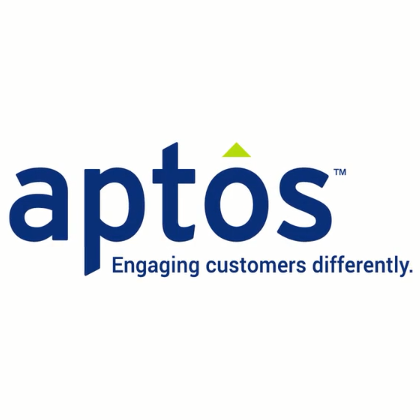 Aptos specializes in omnichannel customer engagement, management and intelligence solutions for retail, wholesale, grocery and hospitality. Hundreds of retail brands rely upon Aptos Singular Commerce platform to deliver every shopper a personalized, empowered and seamless experience. Aptos Singular Commerce Platform and end-to-end Cloud solutions ensure that retailers can provide superior cross-channel customer experiences. With Aptos, Store and Digital Commerce integrate fluidly with order management, merchandising and CRM. Orders, offers and rewards are managed as unified processes, no matter where they originate or how they are applied. Sales Audit centralizes and validates all transaction data, and Analytics let you leverage data, enterprise wide, for actionable insights and tighter control no matter where, when or how your customers shop.